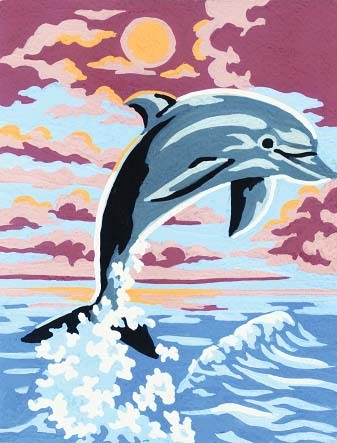 This tapestry canvas from Grafitec features a dolphin leaping from the ocean. 10 count duo canvas with screen printed design. List of DMC thread requirements included, with cotton and wool options. Canvas size: 20cm x 25cm.